Other Arduino, ISP programmer or standalone serial adapter. You have to disconnect your board short XXU2's reset to GND with some wire or jumper, connect it again to USB and unshort that pins. If nothing like this happen You have to burn new bootloader into XXU2 (next step). You have to connect XXU2’s ISP header to your programmer. AVR programmer from Arduino IDE’s list. Select your ATmegaXXu2 and DFU (I have 32U2 on my clone). Than burn bootloader and go back to step 1. And-tech’s forum version have three options, so choose NORMAL for Atmel Studo. On Windows download Atmel’s Flip , open it, select uC, select osb, open it, select hex and download it. You can refer to pictures, soldering that pin that shouldn't be problem. Download Atmel Studio, install it and open. 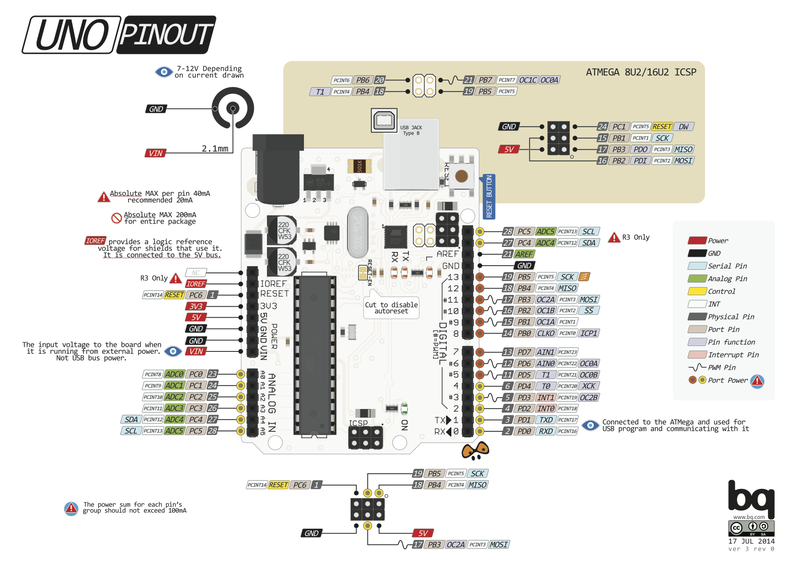 Connect Your new AVRISP mkII to some ATmega nad than to USB. Select Available Atmel tools from View menu, press RMB on AVRISP mkII, select device and apply, set 16,1kHz clock and read device signature. You can now read/set fuses, check memories and program your device. I believe, that this insctructable would work with ease on Arduino Micro and Leonardo and would give you simple way to add level translator and easy acces to TPI and PDI protocols' pins for few ATtiny (most of theme have ISP) and ATXmega. For going back you can again burn HoodLoader2 DFU bootloader with serial or follow Arduinos tutorial DFUProgramming8U2. You can compile hex files with Arduino IDE just show verbose output of compiler (file>preferences). Hex location is in one of last lines. You can upload any hex with Atmel Studio View>Select Available Atmel tools>RMB on AVRISP mkII>Device Programming>select device and apply, set 16,1kHz clock and read device signature. Go to memories and program uC with desired hex. Q:I have performed a firmware switch. My drivers are properly installed. Still I can't properly program my target with AVRDUDE. I also tested with the latest Arduino IDE. What is the problem? Is my programmer bricked? A: The hardware of your AVR-ISP-MK2 is fine. There is a software bug that affects LUFA-based programmers in newest releases of AVRDUDE. Either use AVRDUDE versions prior to 6.x.x or apply this patch to the AVRDUDE sources and compile. I was unable to program ATmega328 onboard Arduino unless I cut RESET EN pad (I mean reset line, because my clone doesn't have pad :( see photo) because AVRISP mkII uses reset pin of XXU2 for something else. You can cut it (solder them back together or reset every time you upload sketch when you to go back to Arduino) or transfer ATmega328 to breadboard and connect it's XTAL pins to to crystal on Arduino board in order to program and change fuses (don't be afraid of them, they are simple stuff, just change oscillator to internal 8MHz if you want to use ATmega328 without additional XTAL wires - you'll gain additional 2 pins) or buy yourself a 16MHz crystal. 1. Change AVRDUDE in \Arduino\hardware\tools\avr\bin to older or compiled with patch, and may be it's config file in Arduino\hardware\tools\avr\etc. Or try older IDE. 2. Cut/desolder RESET-EN pad on your Arduino board. 3. Select AVRISP mkII as programmer. This is just theory, I didn't test it. I'm using Atmel Studio, which has Arduino extension for importing sketches. their hex file is for an AT90, not the 16U2/8U2 that comes on a Mega2560/UNO. You may want to update the instructable. I know, that and-tech page is somewhat buggy, but I'm able to download attachments (I use MS Edge on both PC and Lumia phone). They're are included in first post. AT90USB162/82 is older version of 16U2/8U2 and it is reverse compatible. Refer to data sheets for more compatibility info if needed. I did all of that steps and it works. My Chinese clone features 32U2, and works like a charm with any firmware.